Surf Board Cardboard Cutout Life Size Standup. 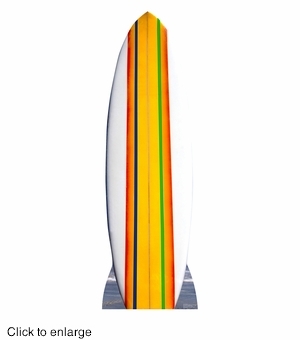 Have this Surf Board at your summer beach party. It will be a great photo opt for your party guests. Surfs up dude! Size is: 76" x 25"